Want to create professional video but don't think you have the money to do so? Learn how from one of London's top production companies. 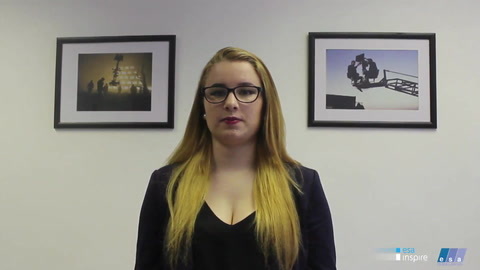 Course Content: Angelique, the Creative Producer will be telling you about how to produce a great video on a budget. She will be covering topics such as scriptwriting, storyboarding, finding crew and cast and the best ways to use a smart phone as a video making tool. Mitchell one of ESA's filmmakers will be showing you free and inexpensive video editing software, as well as how to shoot film on a budget and create cinematic lighting using just one key light and a few accessories. You'll be amazed how simply and easily you can achieve the same results and create professional shots which look like they have big budget lighting set ups. And Dave the Head of Digital Marketing at ESA will be taking you through how to get your video out to the world so you can maximize your viewing audience and really make an impact. He'll also be giving you action plans and checklists to help you keep on track. Together we'll guide you through the whole process to success! 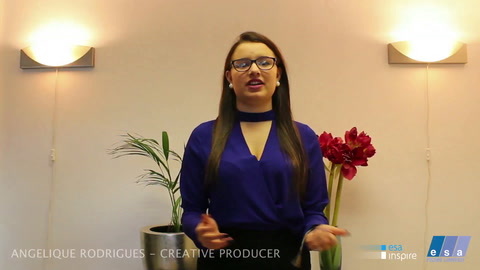 Course bonuses: § To really help you in your career, as part of this course we'll be giving you our Production Professionals tool kit which includes everything we use to create videos for some of the world's leading organisation. The tool kit contains real life examples of everything you need to launch your career as a professional director like an example creative treatment, a schedule, story boards, quotations documents, production forms and contracts. And also blank working copies for you to take away and keep so you can create your own production documentation. The production kit is basically the bible for creating great videos and will keep you on track with your videos. 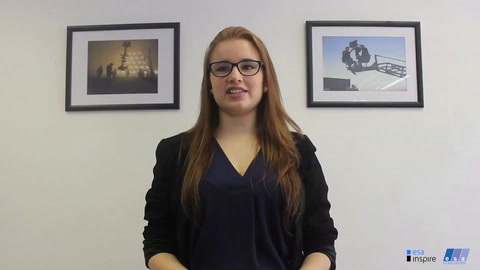 § We will also provide feedback on your video projects! How to sell to big brand businesses Would you like to have a client base of the world’s biggest brands and household names? Then we can show you how. 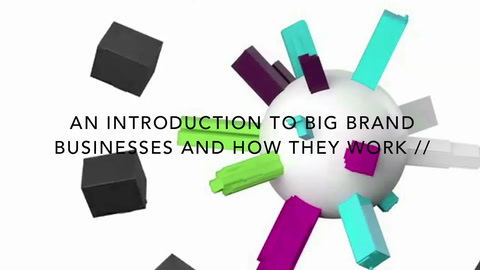 About this course: This course is about how to win business with big brand businesses. It discusses selling creative services to companies such as TV Commercials, but the same principles and processes apply irrespective of what creative services you are trying to sell to a company. The reason we have presented the course from the point of view of our services is so you have real world examples. 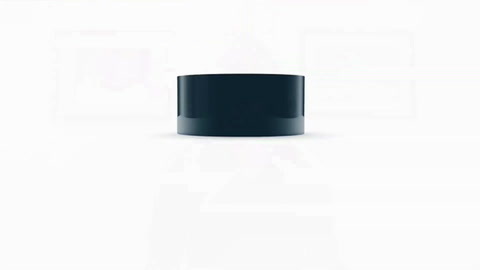 But you will be able to adapt the information in this video to your service or product. This is a strategic course. It describes actual strategies and principles which you can take away and use, which have generated huge success for us over the years and allowed ESA to grow from a tiny corporate video producer to a global production company. This course goes beyond the usual sales courses which deal with aspects of selling, such as cold calling. We will outline key strategies and techniques which we have been using and still use to win the business of big brand businesses globally. The difference between this course by ESA Films and other similar courses is that we are actually doing what we’re teaching everyday for some of the world’s leading agencies internationally. Not to mention, this course takes out all the risk. We will actually be giving you our working model for success. So all you need to do to quickly recoup the cost of your investment in this course is to apply the model and take action. Using our step by step system we’ll guide you through the process of understanding how big business buy products and services and how they make their decisions so you can win that business too. Nothing like this has ever been created before – it is the definitive insiders guide. Don’t waste years of your life and a lot of your money trying to figure all this out. You don’t need to – all the techniques and strategies are available to you in this video series. Once you know from an insider how things work, you’ll find the whole process a lot easier to navigate through. We’ll be your guiding partner through the whole thing so you can feel you have the support you need to succeed. About the course creators: This course is one of many in ESA’s Masterclass video series. Our series is the only one produced by an international production company that is currently producing award-winning TV Commercials and corporate videos for some of the world's leading brands such as SONY, Barclays, Kelloggs, BBC, Microsoft and Nokia to name just a few. Find out why these companies amongst others trust ESA to create their content and learn how you too can develop these relationships and build a similar client base. So if you want to know real world techniques, then we can help you! Why are we making this film: Well, part of it is our ethos of giving back to the industry, and part of it is to help the next generation of gifted entrepreneurs. At the end of the day it’s about helping people to achieve more and fulfil their ambitions. Make video ads like a pro This video is all about how to sell your services, market yourself, stand out from the crowd using an online video ad. Video is now widely regarded as the most effective tool you can use to drive traffic to your website, sell your services and increase your success online. However, because of its effectiveness, video is now everywhere on the internet. So we’ve created this course on Commercial grade video to give you the key edge that will help you stand out from the crowd and be seen. About this course The difference between this course by ESA Films and other courses is that we are actually doing what we’re teaching everyday for some of the world’s leading brands and international organisations. We’ll be showing you the video secrets of those big brand companies and how they achieve incredible results using video to help them to dominate their industry on a global scale. About the course creators This course is one of many in ESA’s Masterclass video series. Our series is the only one produced by an international production company that is currently producing award-winning TV Commercials and corporate videos for some of the world's leading brands such as SONY, Barclays, Kelloggs, BBC, Microsoft and Nokia to name just a few. So if you want to know real world techniques, then we can help you! No risk This video series takes out all the risk, because it lays out the whole process, from scripting, to production, to the completion of powerful and effective video commercials. You could trawl around the internet and try to find answers to your questions for free. But that process as we all know is very time consuming, bity and uneven. And after all that trawling around the internet you will probably find some answers but very little in terms of a powerful and comprehensive how to manual like this course which will take you fully through the whole process. Or perhaps you could go to Film School and learn some of the information in this course. But it will cost you probably between £6000 to £10000 per term to go to film school and even that won't be real world training, just academic training. Or you could simply buy this one course for a much smaller price and have the whole package at your fingertips, using real world techniques which have been tried and tested. Don’t waste years of your life and a lot of your money trying to figure all this out. You don’t need to – all the techniques and strategies are available to you in this video series. Why are we making this course: We’re very aware that as video on the internet continues its massive level of growth, the only way to ensure your video continues to deliver outstanding results is if the quality of content improves. You can no longer assume you can just create a basic talking head video and still get the incredible results in terms of traffic, sales or engagement that you could 5 years ago. To stand out from the millions of videos now out there you have to start thinking in terms of commercial grade content. The professional guide to high quality video production Video is everywhere on the internet now. So we’ve created this video series to give you the key edge that will help you stand out with the best, to win business, drive traffic to your site, market yourself, or simply to engage, inspire and entertain. About this course: The difference between this course by ESA Films and other courses is that we are actually doing what we’re teaching everyday for some of the world’s leading brands and international organisations. Not to mention, this video series takes out all the risk, because it lays out the whole process, from scripting, to production, to the delivery of great video content. Just follow our step by step system to success using our tried and tested model. Don’t waste years of your life and a lot of your money trying to figure all this out. You don’t need to – all the techniques, strategies are available to you in this video series. About the course creators This course is one of many in ESA’s Masterclass video series. Our series is the only one produced by an international production company that is currently producing award-winning TV Commercials and corporate videos for some of the world's leading brands such as SONY, Barclays, Kelloggs, BBC, Microsoft and Nokia to name just a few. So if you want to know real world techniques for creating high quality video, then we can show you how! Why are we making this how to film: We’re passionate about creating great film and high quality video and want to help others to do the same. The way we see it the industry can only benefit as a whole if standards are raised and the quality of content improves. How to sell to ad agencies If you have a product or service you are selling and you want to grow fast, one of the quickest ways to grow is by selling to agencies. That’s what we’re here to show you, using our tried and tested system; How to sell to this industry that is worth £21 Billion in the UK and $48 Billion in the USA alone. Agencies are also the gateway to selling to big brand businesses, because all big brand companies use agencies to run their advertising campaigns. About this course: This course is about how to win business with top brand agencies. It discusses selling creative services to agencies such as TV Commercials, but the same principles and processes apply irrespective of what creative services you are trying to sell to an agency. You should be able to adapt the information in this video to your service or product, and gain insights in to how agencies buy services and how they work. The difference between this course by ESA Films and other similar courses is that we are actually doing what we’re teaching everyday for some of the world’s leading agencies internationally. Not to mention, this course takes out all the risk. We will actually be giving you our working model for success. So all you need to do to quickly recoup the cost of your investment in this course, is to apply the model and take action. Using our step by step system we’ll guide you through the process of understanding how and why agencies buy services and how they make their decisions so you can win that business too. Nothing like this has ever been created before – it is the definitive insiders’ guide. Don’t waste years of your life and a lot of your money trying to figure all this out. You don’t need to – all the techniques and strategies are available to you in this video series. Once you know from an insider how things work, you’ll find the whole process a lot easier to navigate through. We’ll be your guiding partner through the whole thing so you can feel you have the support you need to succeed. About the course creators This course is one of many in ESA’s Masterclass video series. Our series is the only one produced by an international production company that is currently producing award-winning TV Commercials and corporate videos for some of the world's leading brands such as SONY, Barclays, Kelloggs, BBC, Microsoft and Nokia to name just a few. So if you want to know real world techniques, then we can help you! Why are we making this How To film: Well part of it is our ethos of giving back to the industry, and part of it is to help the next generation of gifted entrepreneurs. At the end of the day it’s about helping people to achieve more and fulfil their ambitions. So what will we be covering: · How ad agencies work · How and why they buy – what are their decision making processes · What you need to do in order for agencies to buy your services · We cover the various strategies you can use to win business · What pitfalls to avoid to ensure your success Who is this guide for? : Anyone who has a service or product to sell to agencies or companies! Quick and Easy Motion Graphics Hacks Here at ESA we understand that not everyone has the training, money or indeed the time to spend hours creating complex animations and motion graphics using advanced software in order to make their videos look amazing for their viewers and that is why we are here to help! This is a multi purpose video course. All you need is a basic understanding of video editing software. For this tutorial we’ll be using Final Cut Pro 7, but most of these tips and tricks can be applied to an alternative software such as Final Cut Pro X or Premiere Pro, if needs be. This course is for those who: Don’t know how to use animation software such as after effects or other similar programs Own the software but don’t want to spend hours using it for creating complex animations Are bored and tired of seeing and using the same old title cards and transitions Aren’t necessarily or primarily video editors but need to do a quick bit of editing, and want it to look as attractive as possible This course will teach you: How to quickly and easily add some eye catching motion and colour to your videos How to create outstanding content, without expensive equipment How to spice up a project or presentation for school or college or even a gift for friend or family member Hopefully, these quick and easy hacks should enable those with up to 6 months experience using FCP7 or other editing software, to look like they’ve got a year or more’s experience! and will allow you to go away and create eye-catching Motion Graphics for your videos, quickly and easily! Our goal is to bring real world production skills to students involved in the production of film, video, TV commercials and corporate videos. ESA Films and ESA Inspire are amongst London’s top production companies working with global brands internationally. We are not just another academic film school teaching theory. We are ideally placed to teach students practical production skills which will be of use to them, in the real world. We’re really looking forward to sharing some of the secrets of our industry with you and helping you in your goal to create quick and easy motion graphics! 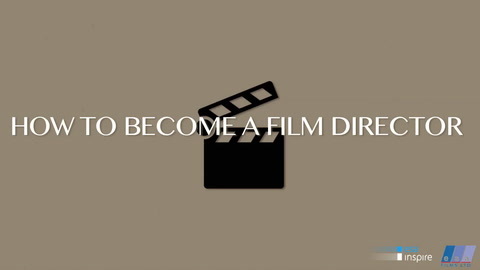 How to Become a Director If you want to be working for a production company like ours as a director, or for yourself as a director of films, corporate videos, TV commercials or other online content, then we can show you how! The difference between our course on ‘How to Become a Director’ and other courses is that we have been launching and nurturing the careers of successful TV commercial and corporate video directors from our roster for years so we know a thing or two about what it actually takes to launch and build a successful directing career in this highly competitive industry. About this course: Whether you are interested in becoming a TV Commercials director, a corporate video director or an online content director – we want to share everything we know with you. The course lays out the step by step process. We will be showing you our tried and tested methods which have worked for us time and time again. Once you’ve finished you’ll know everything there is to know about how to become a successful director. About the course creators This course is one of many in ESA’s Masterclass video series. Our series is the only one produced by an international production company that is currently producing award-winning TV Commercials and corporate videos for some of the world's leading brands such as SONY, Barclays, Kelloggs, BBC, Microsoft and Nokia to name just a few. So if you want to know real world techniques, then we can help you. Why are we making this video: From our years of experience we have developed a wealth of practical knowledge and a passion for creative expression. That is why we are now looking to give back to the industry by supporting and promoting budding directors and film makers to express their creativity and reach a wider audience. ESA's masterclass series gives you all the information you need to become a filmmaker - and is the only course of its type created by an international production company that is currently producing content for the world's leading ad agencies and companies. Our masterclass series can provide you with the knowledge you need to make a successful online ad, successfully sell to ad agencies and even cast, direct and create your own film!Our courses are ideal for aspiring Filmmakers, YouTubers/Vloggers, Online Educators, Business Owners, Online Content Creators, Advertisers and more! So, if you want to know real world techniques and strategies for today's market place, we can help you!